So...you want to grow your money. You go all in and learn about investing, trading and whatever that seems to work for others. 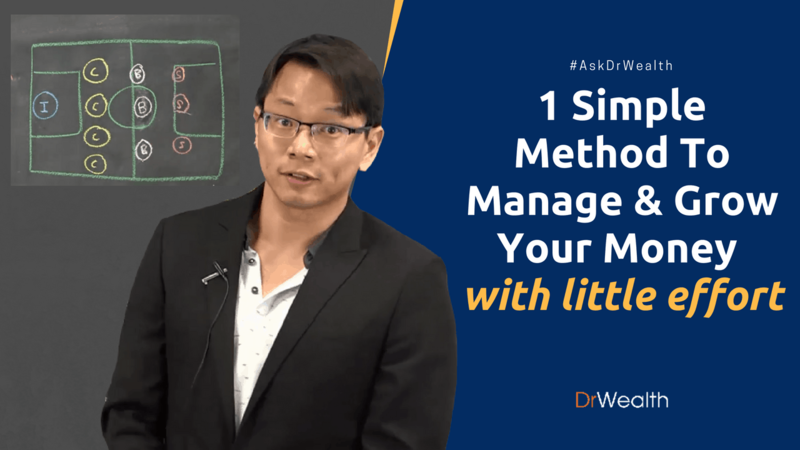 In today's #AskDrWealth series, Louis will reveal to you a very simple method that you can put to use immediately. 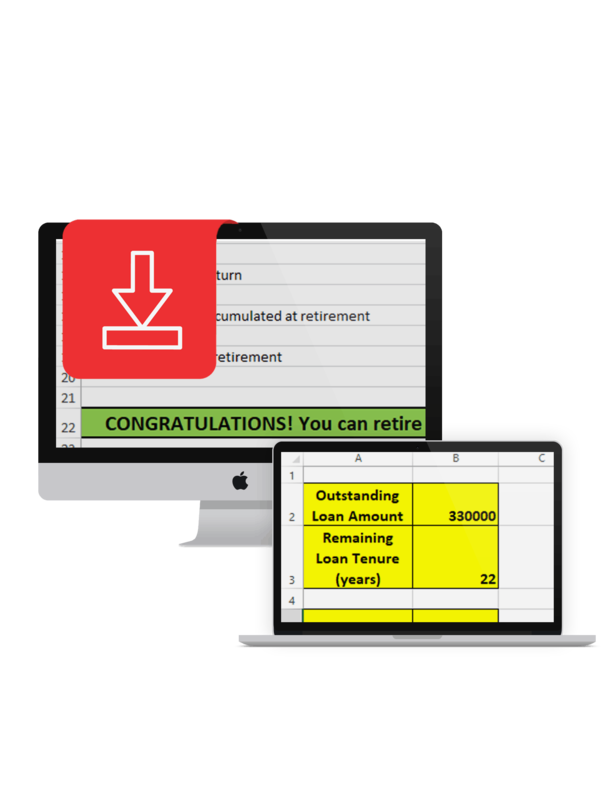 This method will allow you to make manage your money better and give you the fundamentals to constructing your investment portfolio. Money management doesn't have to be boring. At Dr Wealth, we like to explain complex concepts using simple and fun analogies. 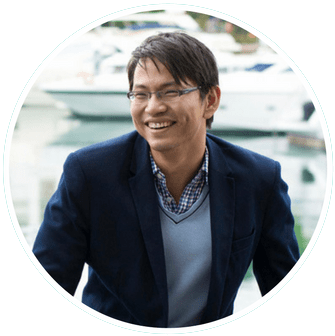 Louis shares how you can construct your investment portfolio by using the analogy of a soccer game. A soccer game is a team sport, you have different players playing at different positions. Each position has its own role and together, they strive to win the game. Similarly your finance portfolio is a team sport. As the manager, you need to allocate different amount of your capital into different investments and asset classes. You may disagree. But I'd say that the most important player, in a soccer team is the Goalkeeper! Because the Goalkeeper is your last line of defense. In your investment portfolio, the 'Goalkeeper' is none other than your Insurance. The top priority in your investment portfolio should be your insurance coverage. This refers to the amount of risk or liability that is covered by an insurer for you, in the event of unforeseen occurrences. How Much Should You Spend On Insurance? 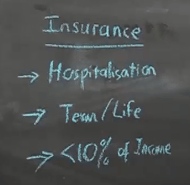 "You should spend less than 10% of your income on your insurance premiums." Although insurance is important, you should not overspend on your insurance premium. 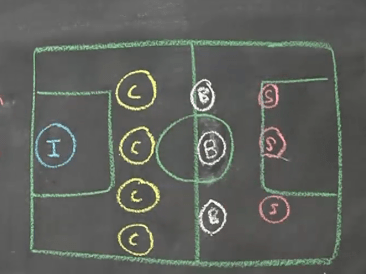 Once you've selected your Goalkeeper, it's time to draft your defenders. 'Cash' is your 'Defender' in your investment portfolio. You should always remember that the main purpose for cash is for liquidity or emergency needs, and not for returns. How Much Cash Should You Have? "You should keep at least 6 months of your monthly expenses as your emergency fund." The next set of players in your soccer team, is your midfielder. A midfielder can help on both attacking or defending. Likewise, Bonds can play both an attacking role and a defending role in your investment portfolio. A bond is a fixed income investment, which is used by an investor to loan money to an entity. This entity, in turn, borrows the funds for certain defined periods of time with a variable or fixed interest rate. It will give you higher returns compared to bank savings, but lower returns compared to stock investing. That said, you should note that bonds investments have a slightly lower risk than stock investments as well. Finally, we get to the (usually) most interesting player in the soccer team, the striker. The 'Striker' in your portfolio is your 'Stock Investment'. Stock investments are a type of security that allows you to own a portion of a corporation. It represents a claim on part of the corporation’s assets and earnings. 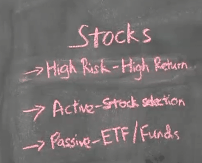 Stock Investment is actually classified as a "High Risk, High Return" asset class in your portfolio. "If you have time, you can manage your stock investments for better returns. Otherwise, it is not wrong to use passive investment vehicles like ETFs or Unit Trusts." If you have time, you can do some active management by using fundamental analysis or technical analysis to pick out a better company to invest so that you can achieve a better return than the stock market. However, if you don’t have the time, you can actually look into passive investment funds like ETFs, or invest in Unit Trusts to let the fund managers manage your money for you instead. How Much Should You Allocate To Different Asset Classes? By now, you'll probably be wondering: "How much should I actually allocate to Stocks, Bonds, Cash, or Insurance?" The answer depends on how aggressive you are (or can afford to be). For a young person who have a longer duration of investment, you could use a more aggressive portfolio. You can invest a higher amount into Bonds or Stocks to achieve better returns if you are willing to take higher risks. On the other hand, if you are going to retire in a few years time, you may want to consider investing more conservatively. You can park more money into Cash or Bonds to receive relatively more 'passive' income during your retirement stage. That is all of it for this very simple method to managing your own investment portfolio. One thing that you should take from this is: it is important to have a clear view of your own portfolio, and understand what you should expect from different players or asset classes. For example, you wouldn't normally expect your goalkeeper to always be scoring goals. Similarly for your insurance. Should you be expecting it to work like stocks? Developing this thought process will enable you to see the big picture and manage your money and investments well. From there, you will then be able to create a strategy that will work best for what you have. If you have any questions regarding your money management, let me know in the comment box below!